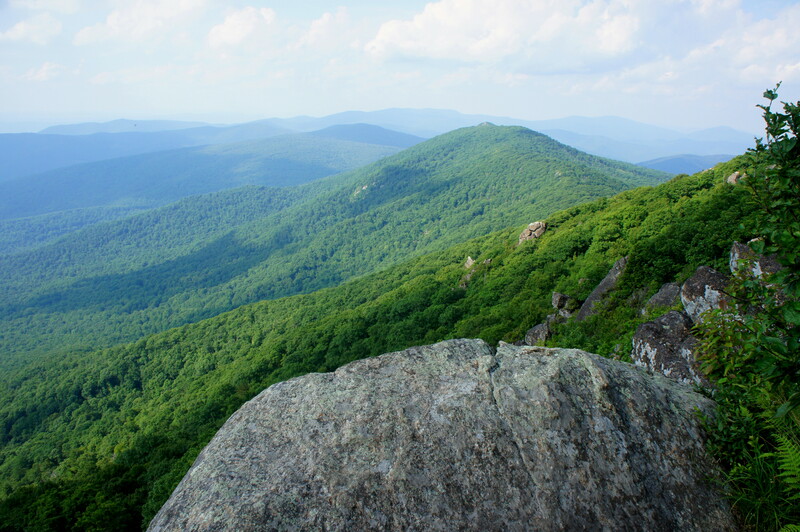 Situated high above Thornton Gap in Shenandoah National Park’s Central District, Marys Rock is one of the park’s most popular summits. 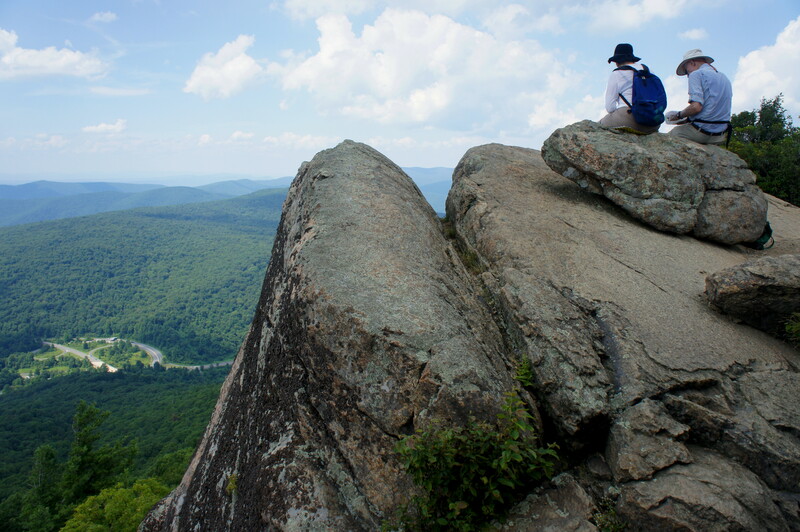 It is a highlight of Shenandoah’s 105-mile stretch of the Appalachian Trail; most visitors, however, climb Marys Rock on a short—but steep—day hike. 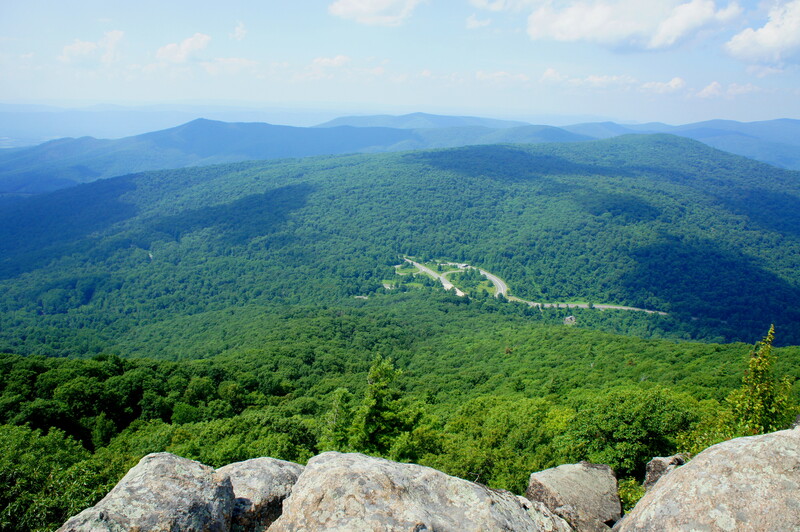 While there are at least three ways to reach the summit from the Skyline Drive, this post describes perhaps the most enjoyable route: a 7-mile out-and-back that also hits another, higher peak—The Pinnacle (3,730’)—while avoiding the crushing elevation gain of the alternatives. 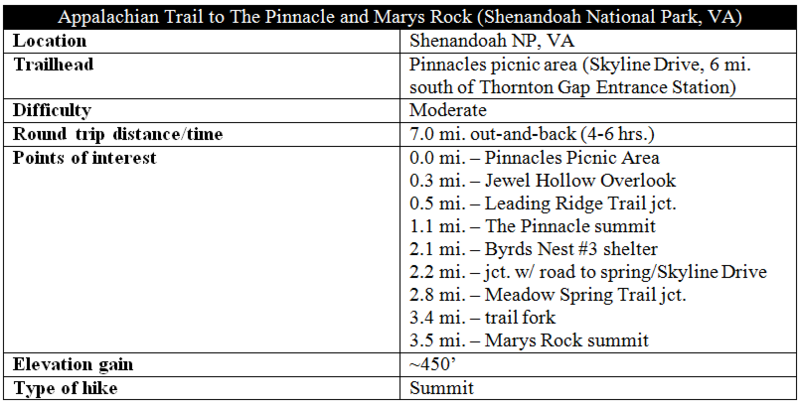 The choices for reaching Marys Rock, in short, are as follows: (1) a 3.6-mile out-and-back from Thornton Gap/Panorama with 1,210 feet of elevation gain; (2) a 2.6-mile round trip from the Meadow Spring Trailhead gaining 830 feet; or (3) the hike detailed here—a 7-mile out-and-back with a longer but more gradual ascent and an added bonus: a trip to the top of The Pinnacle, the highest point in Virginia’s Rappahanock County. For this third option, start at the Pinnacles Picnic Area, roughly six miles down the Skyline Drive from the Thornton Gap Entrance Station. Near the entrance is a wooden trail sign: Jewell Hollow Overlook 0.3 miles; Marys Rock 3.5 miles. Park here to begin the hike. 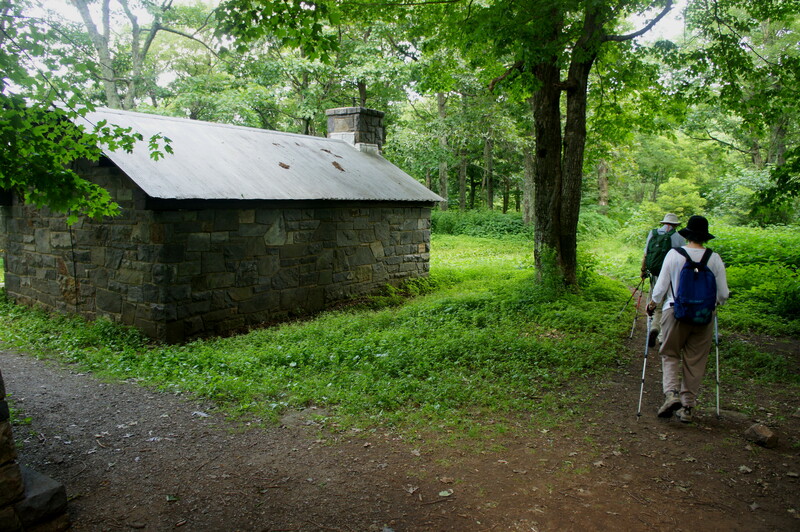 The Appalachian Trail (or “AT”)—generally well-maintained and marked with white blazes—gradually descends from the parking area into the trees, reaching a turnoff to Jewell Hollow Overlook within 1/3 mile. From here, the track briefly switchbacks to the southwest before setting off on a general northeasterly course below the overlook. Beyond Jewell Hollow lies some of the hike’s most spectacular terrain: a break in the tree cover reveals terrific views to the north and west across the Shenandoah Valley to the town of Luray and the immense, long ridgeline of Massanutten Mountain (2,923’). 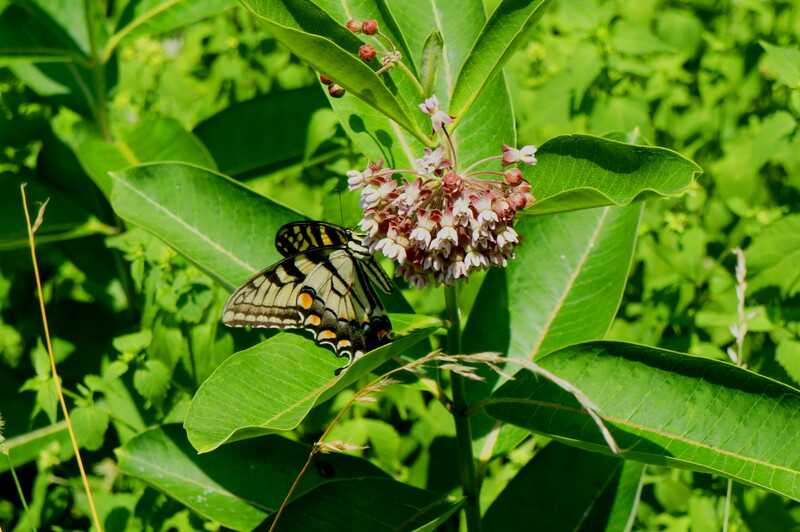 In spring and summer, wildflowers can be spotted sprinkled among the lime-green bushes. After a short foray back in the woods, the trail crosses another meadow with great views and a splendid collection of wildflowers (in July 2015, the predominant species were Goldenrod and Turk’s Cap Lily). 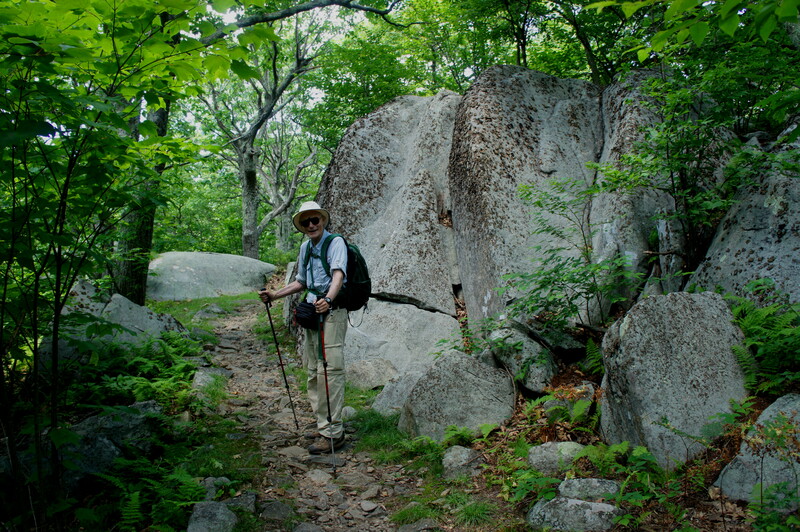 At ½ mile, the AT intersects the Leading Ridge Trail, Shenandoah’s steepest. Stay straight at the fork. From here, the incline steepens and the trail cuts southeast to the far side of The Pinnacle. 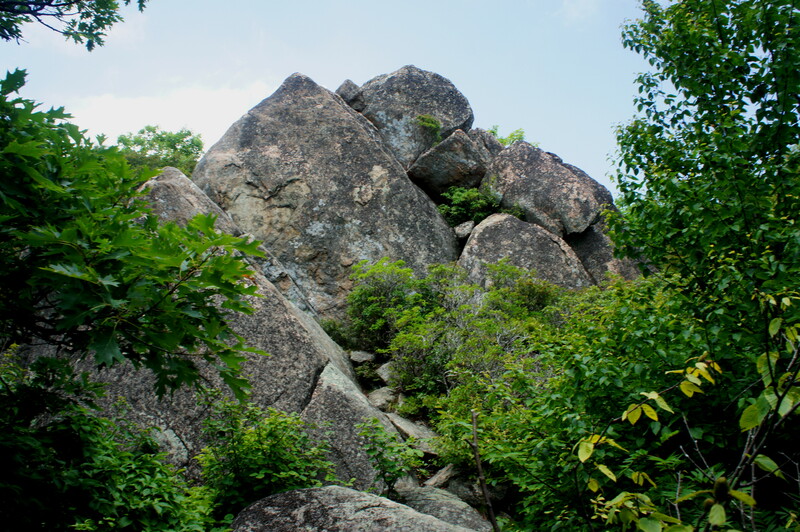 Large blocks of Pedlar Formation granite, a rarity in Shenandoah, litter the landscape. The trail crests the summit of The Pinnacle (poorly named, as the mountain is quite wide and level) after about 6/10 miles of hiking from the Leading Ridge junction and 400 feet of elevation gain. There is only one, maybe two, good viewpoints from atop the mountain, located south of the highest point. From here, however, a marvelous view unfolds to the west, and the hump of Marys Peak is discernible to the north. Just beyond the Byrds Nest, the trail briefly follows an overgrown gravel road before veering off to the left 2.2 miles from the trailhead. The AT ascends gradually along the ridgeline, providing periodic views through the trees to the east, then drops to another minor saddle. At 2.8 miles, the Meadow Spring Trail enters from the right, and the trail’s grade quickly steepens. A cluster of stone outcrops on the right signals the end of the steep climb, after which the trail runs relatively level for the next ¼ mile. With the hardest ascent tackled, the trail crests a low hill with occasional rock crags that offer views to the west. The route cuts right and drops through a narrow cut just after passing below the backside of the Marys Rock outcrop (on the left). Just beyond lies another intersection. Here you should leave the AT, which descends to the right (down to Thornton Gap), and turn left. The final 1/10 mile stretch ascends gradually and swings around through tall bushes to the summit of Marys Rock (3,514’), at last. On a nice day, expect to encounter other hikers here. On a Saturday afternoon in July, at least a half dozen people were scattered about, picnicking and taking photos. It’s worth spending some time on the summit to take in the views: to the north lies Thornton Gap, with Pass Mountain (3,052’) beyond. 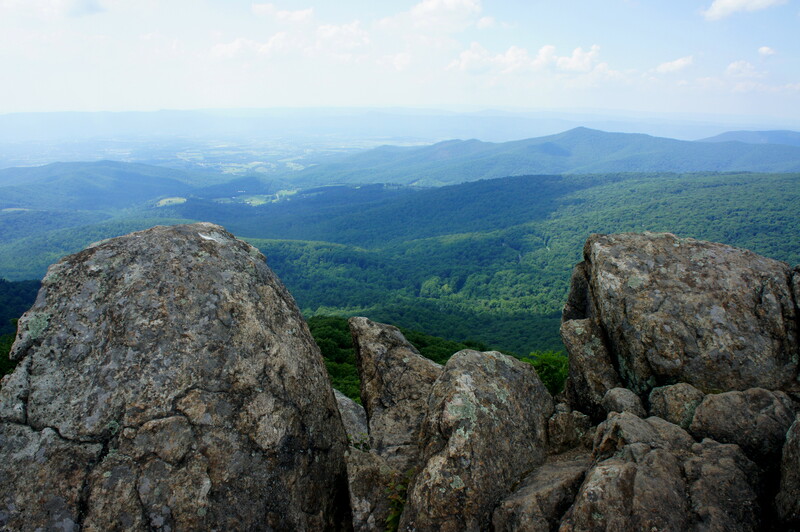 In the distance, one can easily spot the highest mountains of Shenandoah’s North District—including Hogback Mountain (3,474’), North Marshall (3,368’), and South Marshall (3,212’). 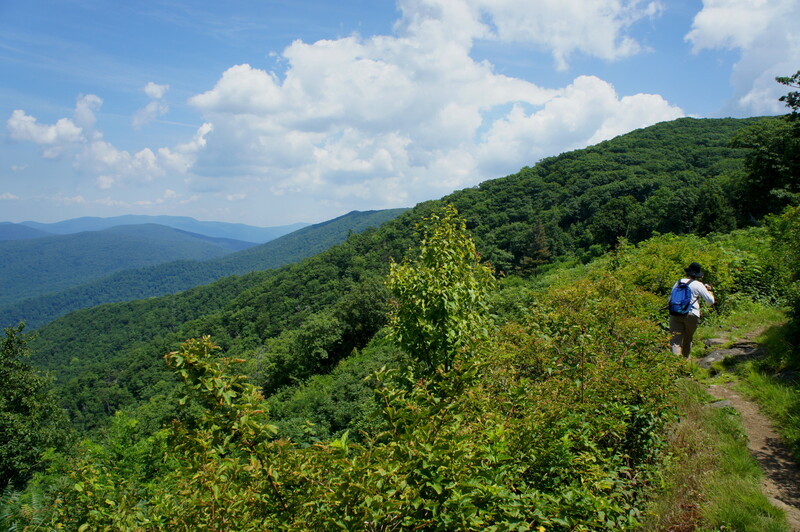 Off the northwest of Pass Mountain lies Neighbor Mountain (2,626’), the base of which gives way to the Shenandoah Valley. 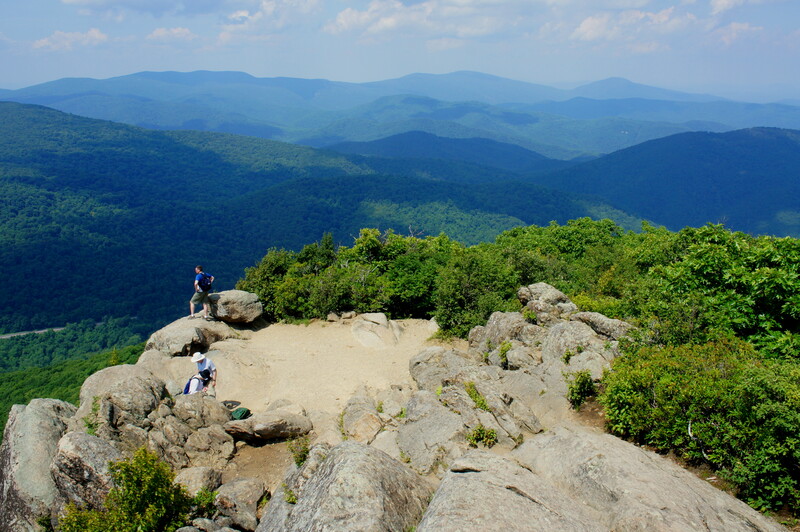 Views are more obstructed to the southwest, but climbing to the very top of Marys Rock’s highest fin offers a vantage point of The Pinnacle and Stony Man Mountain (4,011’) in the distance. Clear days allow for good views west to Massanutten Mountain and, on the horizon, the various ranges paralleling it. The principal disadvantage of this particular area of Shenandoah is the dearth of loop options; this means you must double back the way you came. Expect the return journey to take a similar amount of time as the initial jaunt to Marys Rock, especially as the 450-foot climb from the Byrds Nest to The Pinnacle can feel never-ending. A group of us hiking at a moderate clip completed the round trip—with lunch and snack breaks—in just under five hours. 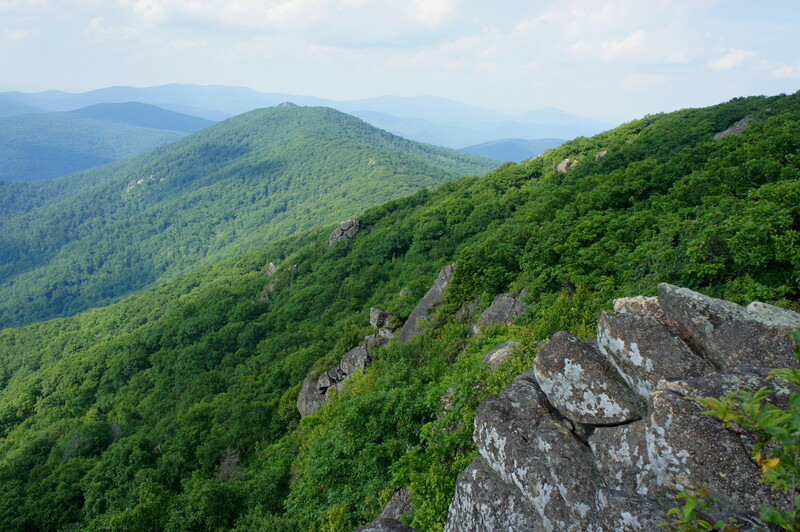 This entry was posted in Moderate Hikes, Shenandoah National Park, Virginia and tagged Appalachian Trail, Byrds Nest, Byrds Nest #3, Jewel Hollow Overlook, Marys Rock, Pinnacles, Shenandoah, Skyline Drive, The Pinnacle, Thornton Gap, Virginia. Bookmark the permalink. Your blog is awesome!! It is so descriptive and helpful. It is the best and easiest to understand hiking blog I’ve come across. Thank you!! !